After much of anticipation from Kraft to launch Oreo in India finally Cadbury now under Krafts food division here in India would launch world famous Oreo biscuits . As were the flurry of activities were enough for people in the market to guess about the launch and recent being the law suit by Kraft against local giant Britannia . As reported in news Cadbury would be launching Oreos by April end and would manufacture the biscuit here locally. Mrs Bector's Food Specialities will supply locally made Oreos to Cadbury thus bringing down cost of Oreos( HT) . Indian Biscuit industry would not be the same if Krafts goes for aggressive launch and marketing . Competition would be from local Big 3 Britannia, Parle and ITC and new mnc's entrants like United Biscuits , Pepsi and Unibic .Recent launch of Treat -O from Britannia and Dark Fantasy from ITC can be seen as competition in this segment .Britannia would be impacted most as the leader in premium segment of biscuits with brands such as Pure magic and Cream Treats . Oreo has already taken over Chinese biscuit market being leader in this category . Imported Oreos was already available in select stores across India ,at price tag of Rs 50/- for 14 biscuits . It plans to take on low cost strategy to compete with local brands from Rs 5/- for 3 , Rs 7/- for 10 and Rs 20/- for 14 biscuit thus relying on volumes to make margins(TOI) . Its also a big news for biscuit raw material, equipment , packaging suppliers and advertisers . Confectionery maker Cadbury India today announced its entry into the country's estimated Rs 12,000 crore biscuit market through the launch of 'Oreo' brand from the global portfolio of its parent Kraft Foods. "The introduction (of Oreo) marks the entry into a new category in India, with the aim to make the world’s favourite biscuit, Oreo, one of India’s favourite biscuits," Cadbury India said in a statement. 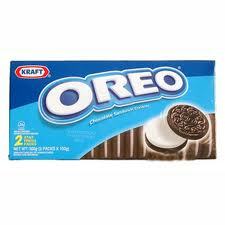 Oreo is around 100 years old brand and currently generates a revenue of USD 1 billion globally. In India, the company will be launching the biscuit in dark chocolate flavour. "Introducing Oreo marks the beginning of our journey in this growing category and we are readying ourselves to make Oreo a preferred choice with Indian consumers," Kraft Foods President South Asia and Indo-China and Cadbury India Managing Director Anand Kripalu said. Cadburys major products have been 5 star , Bournvita , Perks, Dairy Milk Chocolates with only products from Krafts food portfolio being Tang .It would be first time that Cadbury India forays into biscuit segment .Cadbury would promote Oreo as its brand here in India .At the end it would be the Indian consumers who would be benefited the most . when is it gonna release in nepal??? Thanks for share your blog here .